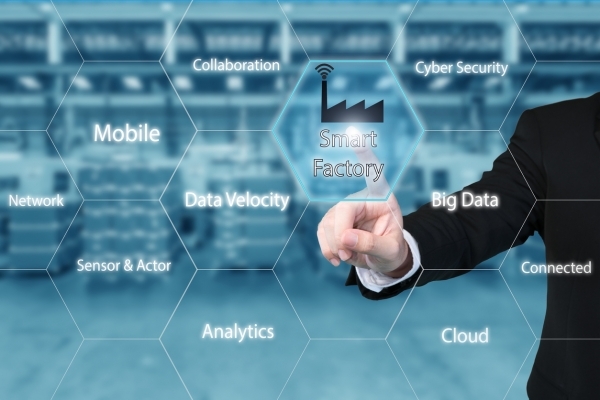 What will it take to get manufacturers moving on Industry 4.0? What will it take to get manufacturers moving on 4.0? 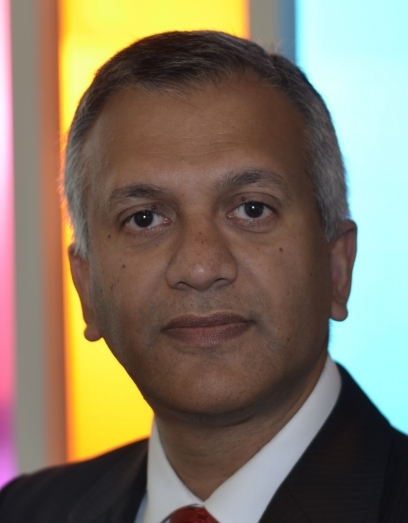 Professor Raj Roy, Head of Manufacturing at Cranfield University, argues that 2017 could be a significant year, and outlines the future major opportunities and challenges for the sector. The shift to 4.0 manufacturing has been on the agenda for five years or more already. 2017 could see a step-change in the wake of the degree apprenticeship levy from April, and opportunities to develop the kinds of higher skills and innovations that can deliver the 4.0 model in practice. The new levy affects employers in England with a wage bill of £3 million or more. They must pay a 0.5% contribution into a fund for apprenticeships, funding three million apprenticeship places by 2020. Large firms paying the levy will recoup costs by running apprenticeships at degree and master’s degree level; and for employers under the threshold, there’s the chance to develop people with higher skills and pay just 10% of the cost. Manufacturers have the potential to start designing their own degrees for their staff which are rooted in 4.0 innovations: autonomous systems, virtual reality, Big data sharing and additive processes. With a higher level apprenticeship all the theory and structured learning of study is leveraged in terms of someone’s actual day job, so can involve work on current projects and ensure that learning is applied immediately for impact. In December 2016, thinkers from industry, government and academia came together to map out the future at Cranfield’s Manufacturing 2075 conference. One of the main areas for discussion was the importance of the next few years in transforming the nature of manufacturing globally. Living in the shadow of the rise of ICT, over the past 30 years manufacturing has been assumed to be the lumbering base of developed economies, the traditional industry under most pressure from global markets and technological advances. But perceptions are going to change quickly. The combination of new approaches will make the industry unrecognisable – highly-adaptive, fast-moving and with the capacity to snap into 21st century markets and shape consumer demands. The transformation will be based on a whole new stream of careers. Rather than just a falling away of jobs in the sector, the impacts of technology will mean more high-value jobs: the need for more systems engineers managing complex and global autonomous operations, experts in virtual reality management, data analytics and product design, and teams managing consumer relationships and marketing. Being able to integrate and manage the potential of the Internet of Things throughout processes, for example, will become critical – as will growing an understanding and new systems for cyber-security to protect the more ‘open’ infrastructure of data-sharing. Another major area of growth will be the development of new substitutes to replace scarce materials as global demand increases, and also as a way to improve products for consumers. By 2075 many of the basic materials we’ve come to rely on, metals, minerals, oil-based plastics, that are limited both in terms of supply and their natural characteristics, will have been replaced by new generations of renewable materials that are lighter, stronger, cheaper and more adaptable. These will include products that are self-sufficient, self-repairing, self-updating and which generate their own energy. More will be fitted with sensors and the ability to communicate with the user and other products to share updates and useful data on condition, value, recyclability, and availability of replacements in the market. Increasingly, manufacturers will be looking to new materials that can be grown naturally from soil and not just through more energy-intensive processes in labs and factories. Another issue debated at the 2075 event was around the related themes of how manufacturing industries can become more responsive, sustainable and equitable. The future is with networks of connected micro-factories, local manufacturing operations serving local regions of consumers. In this way the global map changes, with a more even spread of activity around the world and much higher levels of participation and sharing of resources. Dozens of factories in every community meeting needs for employment, wealth generation and plugged into local needs. It would be made possible by investment from the traditional manufacturers, using its R&D and technology base to remove any issues of physical location: virtual factories run largely by autonomous systems that are managed and monitored remotely, with the ability for systems managers to intervene at any stage via virtual reality simulation without physically being present at the micro-factory. For consumers the small-scale local manufacturing means a high level of customisation of products is possible – with autonomous systems able to anticipate needs as much as respond to them – and create direct relationships between customer and factory. In the context of the importance of sustainability and limited resources, localisation means far less need for costly international supply chains, low energy use and carbon footprint, and more reliance on locally sourced materials that come from recycling processes or are grown or produced locally. When it comes to finding new solutions to issues of sustainability, the long-term landscape includes lunar exploration. Cranfield runs an annual ‘Manufacturing on the Moon’ competition which has explored the potential for workable facilities for production and living quarters in space. The project has partly been created to challenge apprentices in the sector to use their skills and be bold in their thinking – but always rooted in actual future potential. NASA and the European Space Agency (ESA) are already running research projects looking at mining natural resources on the Moon, Mars and other planets. The University is involved in testing the potential for mining asteroids in near-Earth orbit using small-scale CubeSats for initial landings and analysis. The ESA is aiming to construct a manned Moon Village by 2030. To begin with a group of ten humans would live in a habitat created by robots and their 3D printed modules. By 2075 this would become a Moon Republic of a million people, most of whom will have been born there. The vision is dependent on in-situ mining and manufacturing, making the communities self-sufficient. The Moon’s resources of a ‘soil’ containing glass and iron for building materials, billions of tonnes of water ice and limitless solar energy, means the plans are grounded in reality. The first manned flight to set up Moon Village operations is due in 2022. We’re still at the start of the journey for much of this transformation to 4.0. But when it comes to the grit of innovation, of getting projects of the ground and providing early evidence for investment in new approaches, it’s going to be the collaborations over R&D and opportunities for higher skills provided by schemes like the degree apprenticeships that are going to make the ideas happen.